What a beautiful day it is in Chicago! 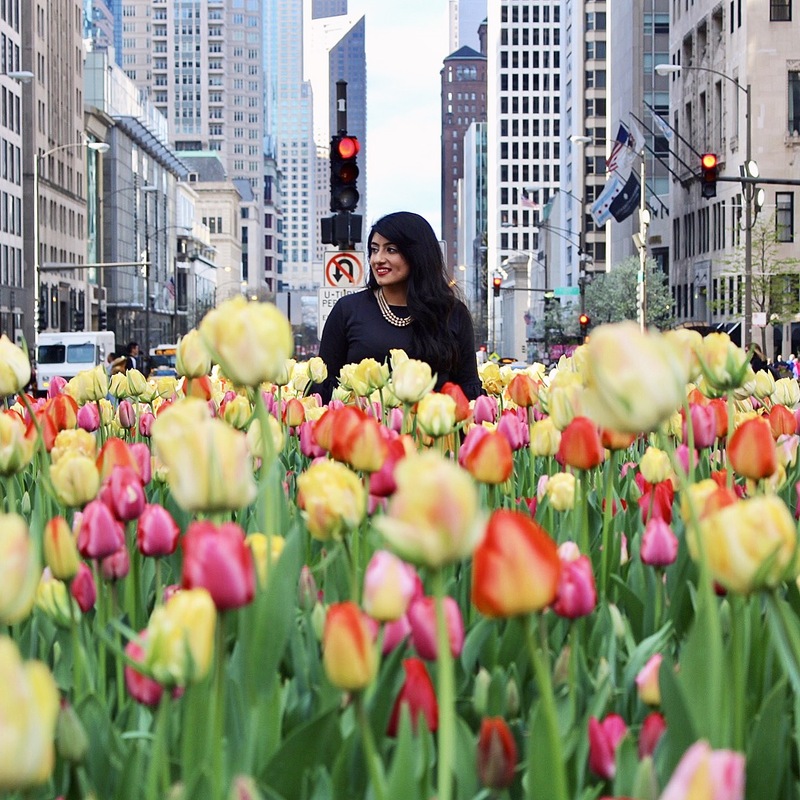 Tulips and trees are blooming all over the city, and I LOVE IT! I finally got a chance to whip out my new favorite spring skirt! 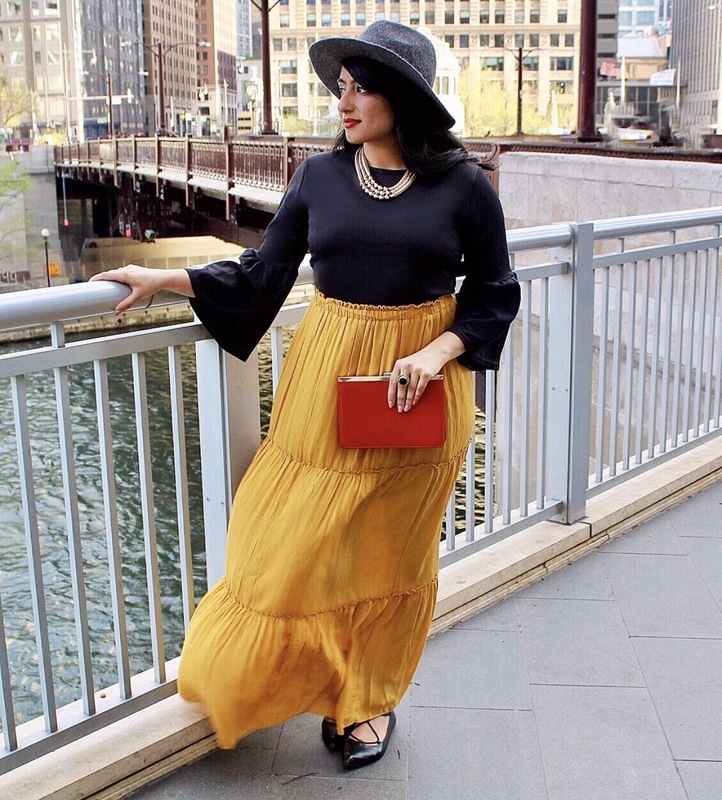 This tiered maxi skirt is so comfortable with its stretchy waist band, and the mustard yellow color is the perfect pop for spring. It runs a bit large, so I recommend buying a size down. I paired the skirt with a solid bell sleeve top, and another pop of color clutch. 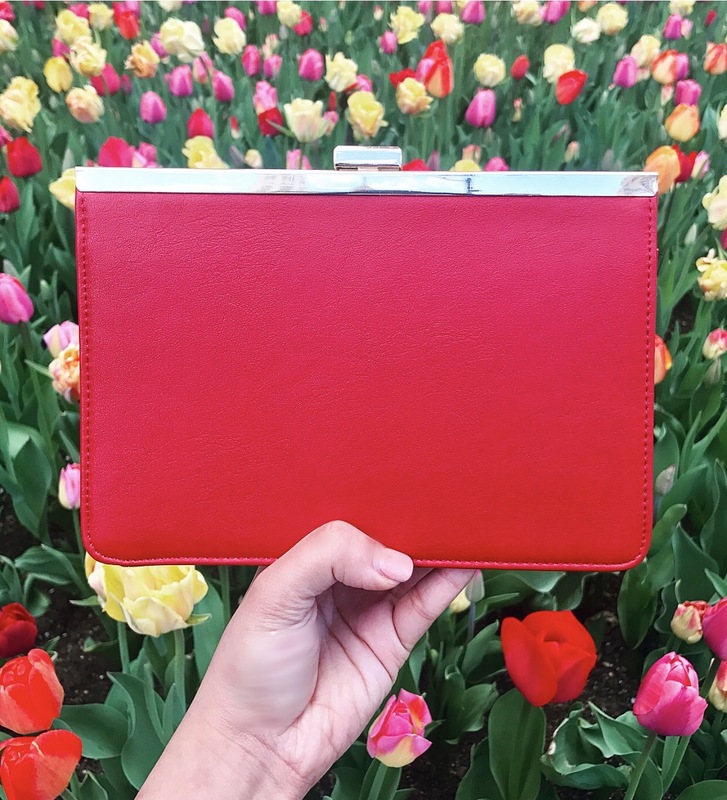 This adorable clutch is under $20 online, and only $6 in store! What a steal! Also, I fell in love with a solid bell sleeve top from Dillard’s, but it was $80…nobody got time for that. So, I got the equivalent version from Shein (only $20!). P.S.- Go Bulls! Game 4 tonight!